Abrah Dresdale ’10 is a permaculture designer, food systems planner, and educator. After graduating from Conway, Abrah founded Feeding Landscapes, a design and consulting business, and helped to found and run the Farm and Food Systems program at Greenfield Community College (GCC), where she also created one of the first accredited certificates with a track in Permaculture Landscape Design. She continues to teach Introduction to Food Systems through the community college at the Franklin County Jail to incarcerated students. At GCC, Abrah also co-founded the SAGE (Sustainable Agriculture and Green Energy) Education Center, and worked to develop a student-designed permaculture garden that grows food for the dining commons and campus food pantry. 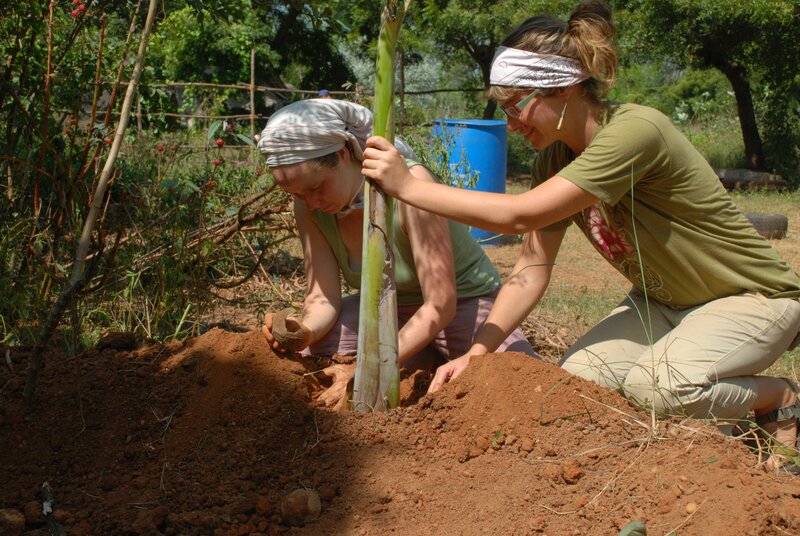 As the 2013-2014 David Bird International Service Fellow, Abrah traveled to Tamil Nadu, India to design and install a perennial food-producing demonstration site, Edible Pathways. 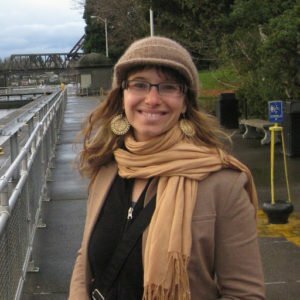 She lead sessions at 2022 Vision, a Siach Network conference in Jerusalem for Jewish Environmental and Social Justice Leaders focused on Shmita, and is an alum of Encounter: Tranforming Conflict through Face-to-Face Understanding in the West Bank. Through the Smith College of Social Work’s program on Conflict Transformation, Abrah served on the US Delegation to Rwanda. As co-founder and active member of the Franklin County Food Council (FC2) and member of the Food Systems Security Working Group at her local food co-op, Abrah is dedicated to making change in her home community as well as in communities abroad. Her leadership and vision has helped to establish a Jail-to-Farm-to-College and Employment program in Franklin County, Massachusetts, involving the Franklin County Jail, Greenfield Town Farm, and GCC. Abrah Dresdale (at right) is using the “sponge technique” to build soils at Sadhana Forest.